Data for Action's facilitated workshops are only available for CIVICUS members. 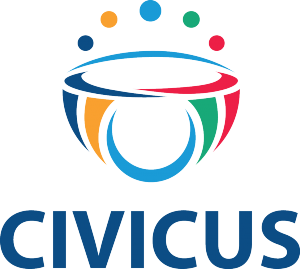 CIVICUS membership connects you with like-minded civil society actors committed to advancing active participatory democracy and defending the freedoms of assembly, association and expression. Members access a range of benefits designed to enhance visibility, networking, and information-sharing to support your work. We currently have more than 3,600 members around the world from 175 countries and territories. We try to provide various channels to foster or facilitate opportunities and spaces for deeper engagement between partners and allies working on similar themes or sharing similar challenges. Joining the CIVICUS Alliance gives you access to a number of thematic, interest-based or regional sub-networks of CIVICUS members. To learn more about membership and benefits, click here. Becoming a CIVICUS member is free and easy! It only takes a few minutes to apply. 3. Submit the application by agreeing to the terms and conditions and clicking "register"